ROAD TOWN, Tortola, VI - Honourable Archibald C. Christian (AL), Junior Minister for Tourism, during the Fourth Sitting of the Third Session of the Third House of Assembly (HoA) on Thursday April 26, 2018, expressed that there must be an “informal” meeting with all the members of the House to understand documents that need approval in the House especially when it is debating something as important as borrowing $50 million from the Caribbean Development Bank (CDB). The At Large Representative has in the past stated he was not going to support legislation brought to the House if he was not properly informed. Hon Christian added that members should not come to the House and just accept that because government brought a proposed legislation or motion to the House every member should “jump up and say yes” without understanding what is actually in the document. "The money is not going to hit the streets tomorrow morning"
Meanwhile, the Junior Minister for Tourism pointed out that debating a $50 million agreement is not something that members should glance at for five, ten or fifteen minutes, while emphasising that he missed a lot of information that he could have shared intelligently with the public. 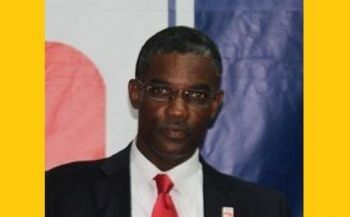 He explained, “Debating a $50 million agreement is not something that you glance through but in the essence of time I have to rise and support my Premier [Dr The Honourable D. Orlando Smith]. In addition, Hon Christian commented that borrowing the money from the CDB is “not going to be a joy ride” and the money will “not hit the streets tomorrow morning” but in fact, it will take several months before the government will have access to the money. "VI is a partner within the CDB"
Hon Christian mentioned that the Virgin Islands (VI) is not getting the $50 million loan because the bank is named the Caribbean Development Bank but because the Territory is a partner within the CDB. The budget estimates of 2018 revealed that the expenditures this year is more than the revenues, which has resulted in a deficit. In order to address this deficit, the Government intends to borrow from CDB a loan not exceeding $50 million to be used as budgetary support for 2018. 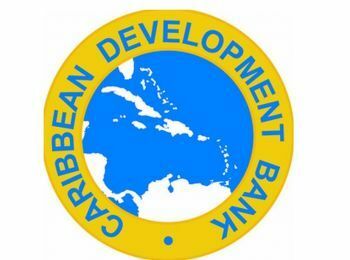 The Caribbean Development Bank is already lending the VI some $65 million in rehabilitation and reconstruction loan, to assist with its recovery efforts following the floods and hurricanes of 2017. VIP, New Party, or refurbished party, there is no more time to play around if you'll intend to campaign against the NDP Cartel; even Hon. Christian here refining and presenting favourable talking points. But as one blogger, "Agreed" declared, "Jimmy Cliff words of Action Speaks Louder than Words are surely ringing true in this place." Don't know if that will be enough to get him over this time around since his previous actions showed otherwise. Time to Launch! I don't want to hear a thing from Archie and the rest of his colleagues. He and them sat there and allowed a plane that they knew would not fly go with $7 million among many other millions they allowed to go through the door. So excuse me if I am not happy because it seems like he's now awake. He explained, “Debating a $50 million agreement is not something that you glance through but in the essence of time I have to rise and support my Premier." So what is the rush Archibald?